Ted was always a loner. After being fired from his third job, he decided to just go live out in the woods. He hiked out into wilderness until he found a nice hill. He went to work building a small cabin. As dusk commenced, Ted sat tired from his work. He looked around at the work that still needed to be done and suddenly things started moving. Ted eventually found that there was something special about that hill that let him control most things. 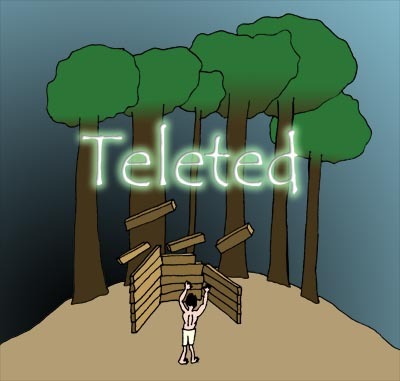 Many adventures would start with a naive person happening across Teleted's hill. "It's not what you look at on my hill that matters, it's what you see. And I can change it while sitting down."